It’s summer. It’s hot. Everyone is busy – too busy to play a game with a little boy. Mom is working. Dad is cooking. Older sister is on the phone. So, the boy ends up playing video games by himself. Until…the lights go out. This book makes you feel good. 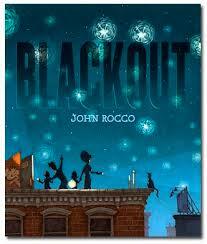 It has great colorful, playful illustrations and was a real hit with my students. Enjoy!